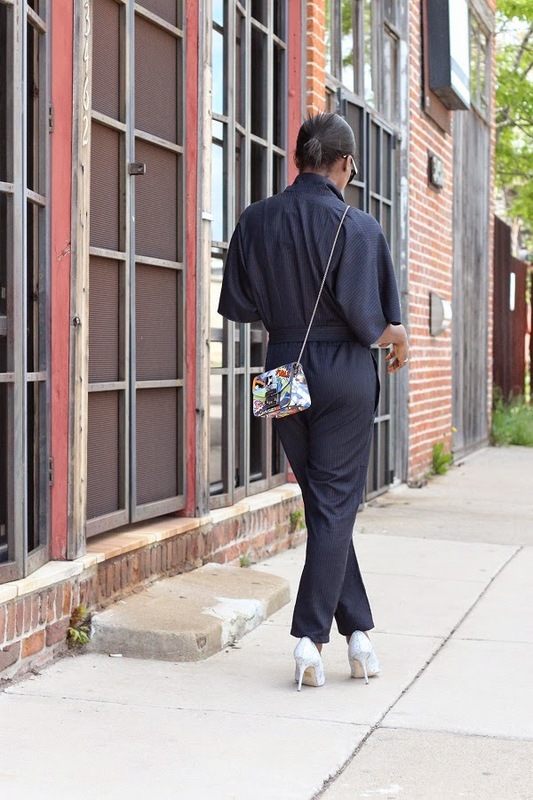 Happy Memorial day all, I hope you had a fun and wonderful weekend. 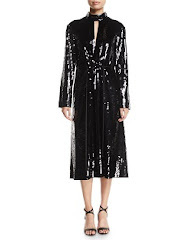 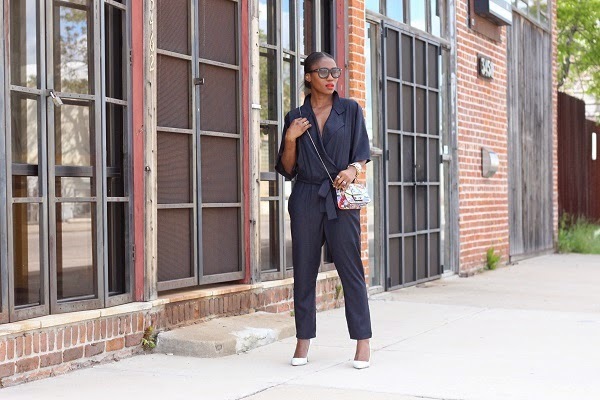 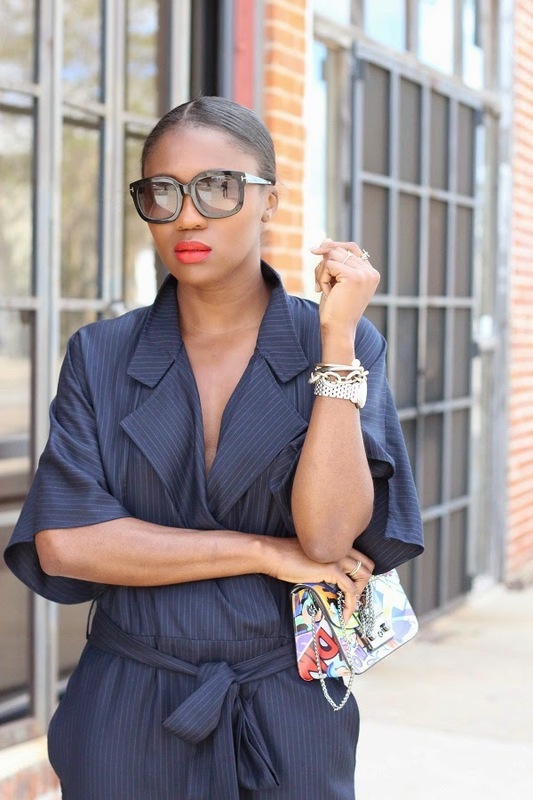 I love jumpsuits and this piece is no exception; it’s chic, cool and can be versatile. 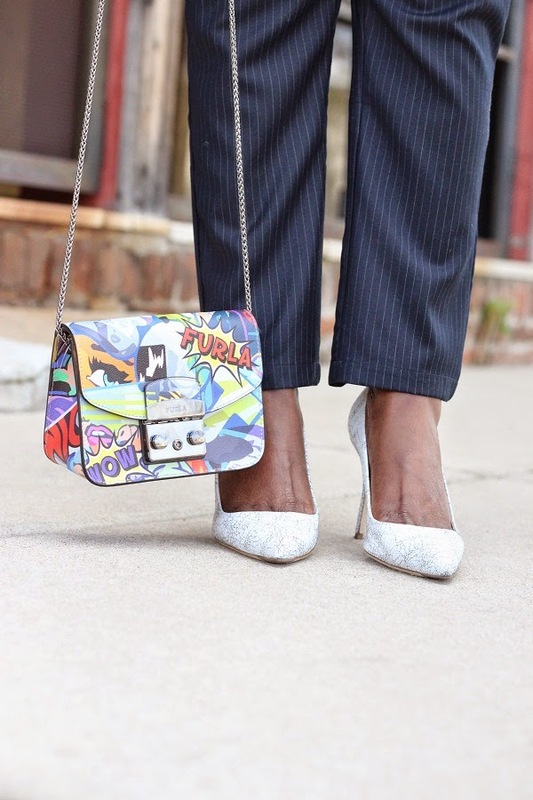 Paired it with this graffiti pop bag and white heels for a fun yet clean appeal.